As part of this initiative, we organized thirukkachchi nambi thirunakshathram celebrations on February 17th. 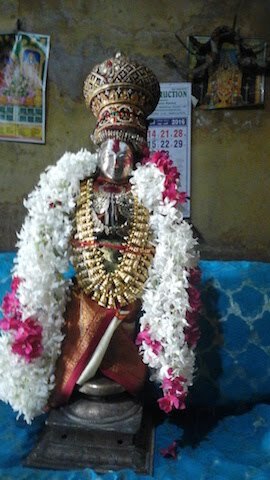 thiruppallANdu, kaNNinuN chiRuth thAmbu, kOyil thiruvAimozhi, rAmanusa nURRanthAdhi and upadhESa raththina mAlai were recited followed by sARRumuRai. thIrtham, prasAdham were distributed to all the assembled persons.